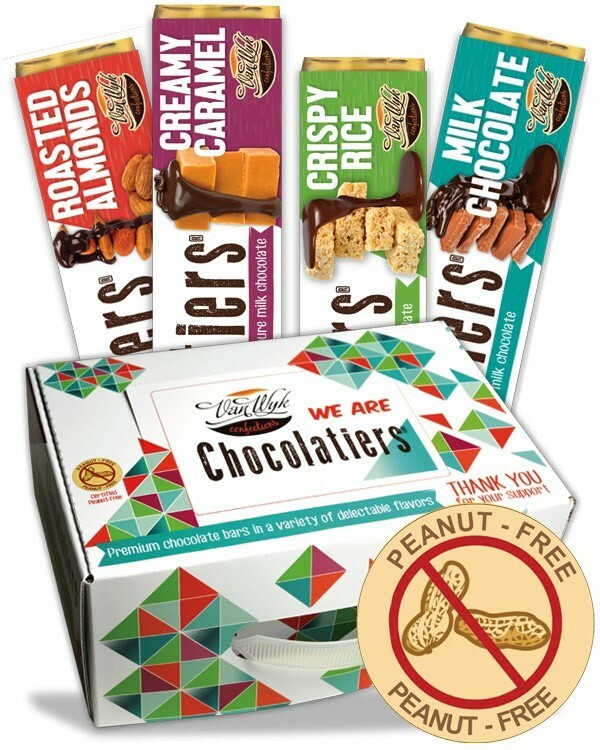 Each Carrier Contains:18 Creamy Caramel Bars, 18 Roasted Almonds, 14 Crispy Rice Bars, 10 Milk Chocolate Bars. 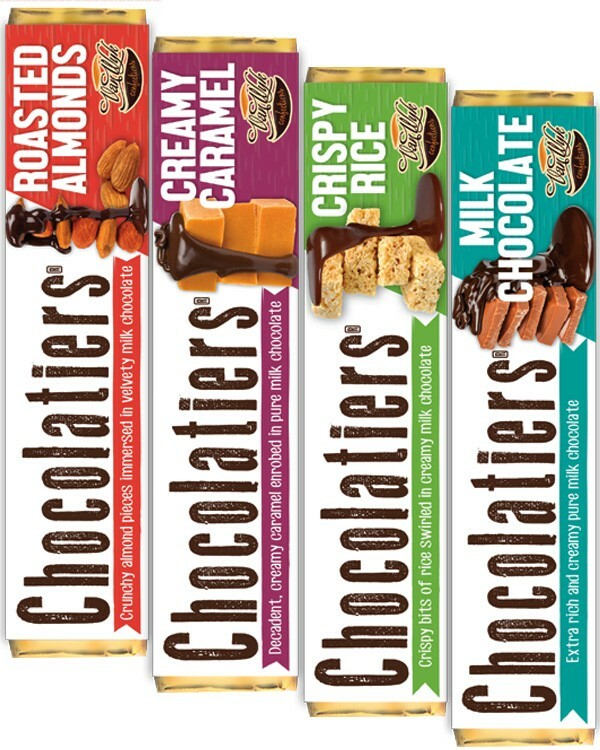 $1 Chocolatiers Candy Bars - New! Each 60-count variety carrier contains: 18 Creamy Caramel Bars, 16 Roasted Almond Chocolate Bars, 14 Crispy Rice Bars, 10 Milk Chocolate Bars, 8 Dark Chocolate Almond. There are 4 carriers PER master case. 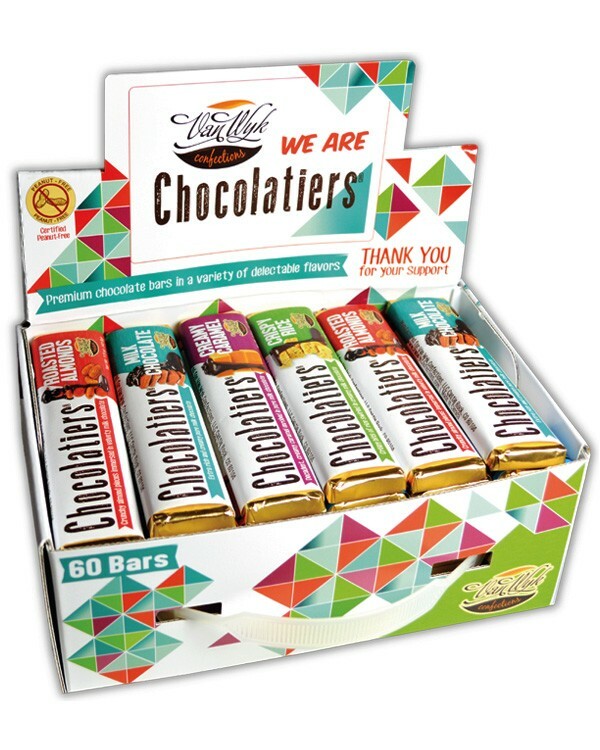 Chocolatiers Bars are a delicious addition to any fundraising campaign. 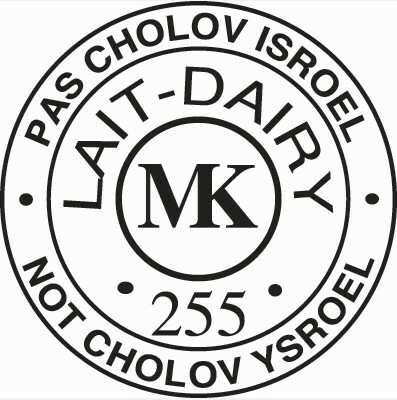 They're inexpensive, feature 4 of the top flavors, and your supporters will likely buy several at a time! Minimum Order: You only need to order 1 case of Chocolatiers candy bars to get started. Free & Quick Shipping: Always free, no matter the size of your order. Delivered within 1 week. 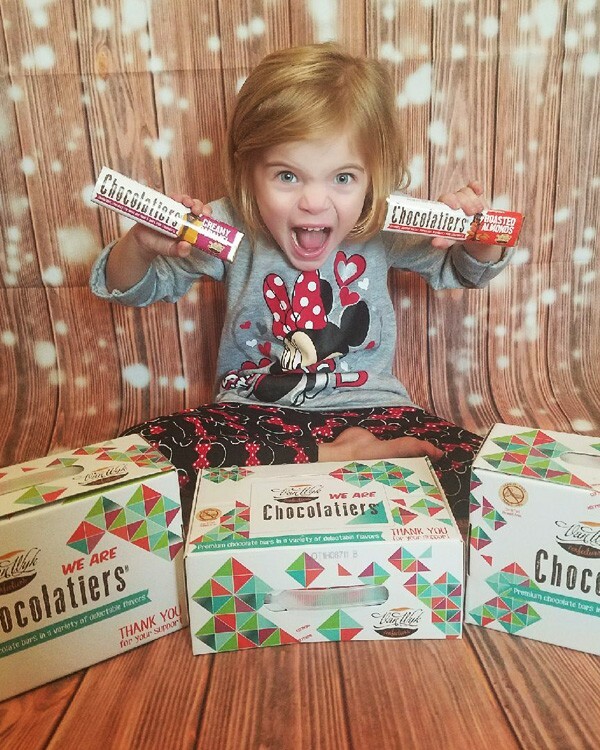 How Does The $1 Chocolatiers Variety Pack Fundraiser Work? For the first time in 5 years, we decided to try a new brand of $1 bars. We sold out of our first 4 cases last week - we just reordered another 4. We've had excellent feedback all around!